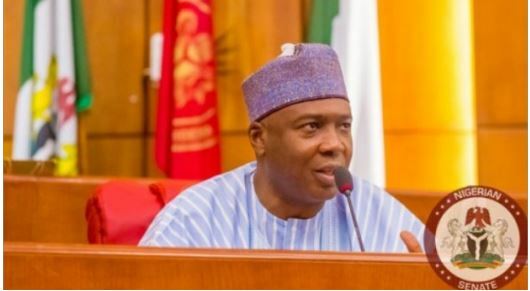 Since the National Assembly elections ended in Kwara on March 9, and the current Senate President, Dr Bukola Saraki, lost at the polls, those who have lived in mortal fear of one of Nigeria’s finest Senate Presidents ever in history, have not relented in their infantile attacks against a man who, against all odds, wrestled official tyranny to the ground and eventually became one through whom God has preserved what is now our fragile democracy from being turned into a full blown dictatorship. To prove that Saraki was nothing but only a victim of his own rightful ambition, those who are bitterly persecuting him today under one concocted anti-corruption guise or the other, are merely doing so because they could not stand the audacity of his ambition to be Senate President. The Senate under him enacted laws and passed Bills that have far reaching positive effects on our polity. As for Saraki, he has fought the good fight of faith. Yes, faith, because faith demands that we must stand up to tyranny even if just to prick the conscience of the tyrant and constantly remind him and his foot soldiers that all faiths abhor the vindictive imprisonment of citizens for their political and or religious beliefs as we currently have today. He can go home with pride knowing full well that when our nation was at its lowest ebb, post civil war era, he stood up to be counted among the few who used their status and political office to engage tyranny and dictatorship in a head on collision and left the senate unscathed. He is, by all standards, a fulfilled man, a winner!